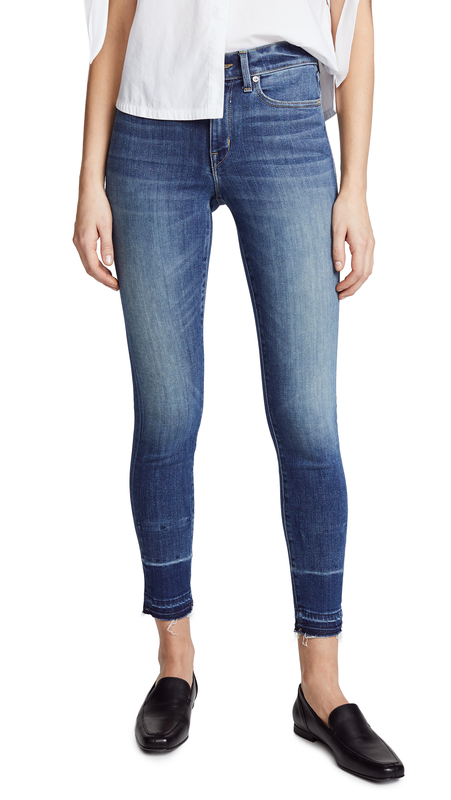 Fashion: How is a Pair of Jeans Like a Good Friend? How is a Pair of Jeans Like a Good Friend? 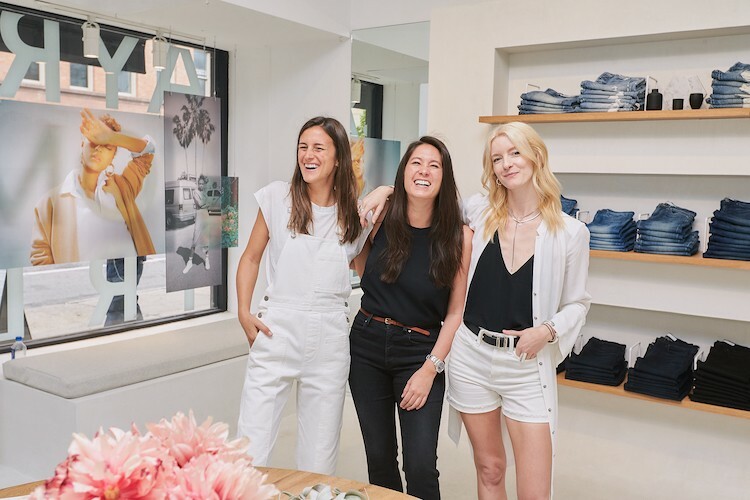 On a warm, early summer day, three best friends, all smiles and laughs, followed one denim-clad woman behind the other into a bright and airy Soho boutique. Though the bright-eyed women looked like they’re on a shopping trip you’d like to join, they were actually just starting a new day of work at AYR. “There is no better feeling than seeing people you love succeed and we see that constantly 24 hours a day, seven days a week, all year around. 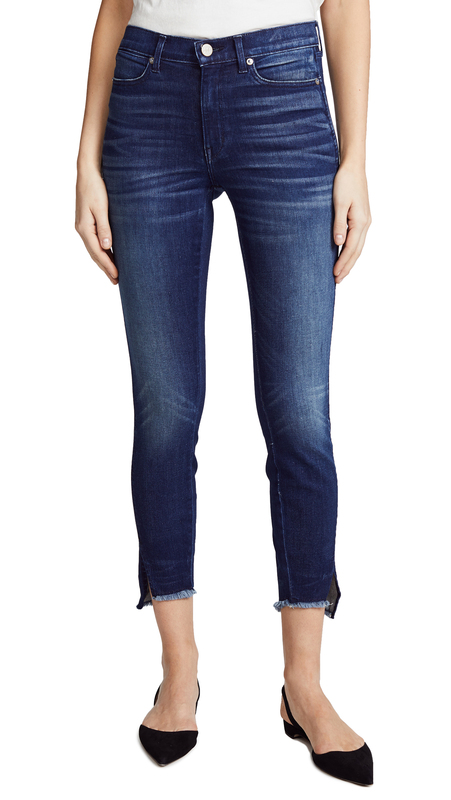 We’ve been seeing it for years,” says Maggie Winter, CEO of AYR (All Year Round) Jeans. 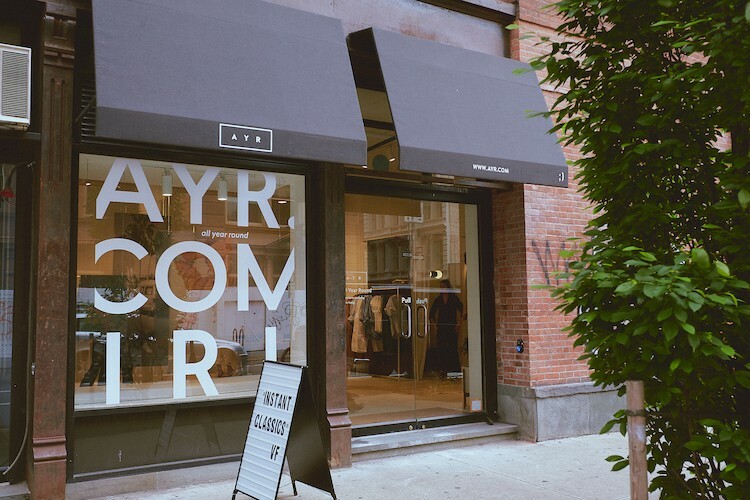 Four years ago, Maggie launched AYR along with her two besties, Jac Cameron and Max Bonbrest. And in the years since, the trio has approached their brand, and their consumer, the same way they approach their friendship. And if you think that there’s no way a friendship can stand after being put through the tries of business, you clearly haven’t met Maggie, Max, and Jac. “We see each other struggle and fail,” Jac, Creative Director, says. “And all the stuff in between,” Max, VP of PR and Brand Marketing, finishes her friend’s sentence. The women of AYR cater to women who are a lot like themselves, making for an easier dialogue with their customer. The modern woman their brand targets spends her money like she spends her time: thoughtfully, and in the way that will return the best for her. The AYR founders contemplate the daily decisions of their shopper and aim to make her dressing choices easier. “When you open your closet in the morning, it shouldn’t be a scientific math problem to get dressed. It should be easy to piece together,” Max says. 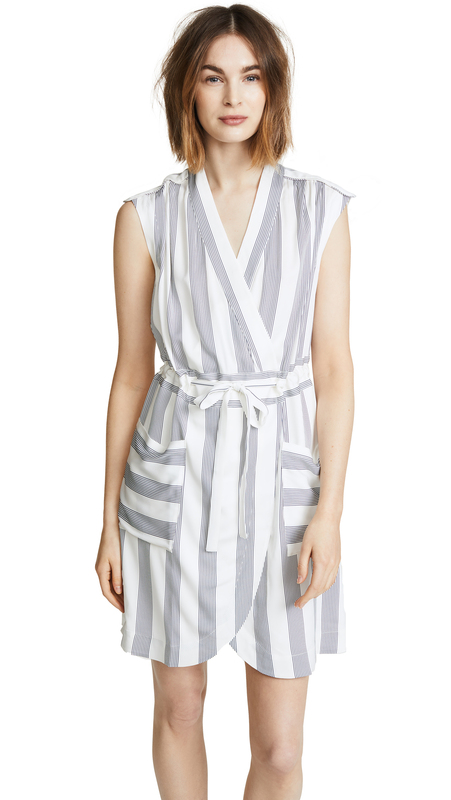 Their motive is to simplify choices for their shopper—the intentionally understated, seasonless collection blends seamlessly into her wardrobe and her lifestyle. “When you see the the Bomb Pop sell out in two weeks then you know you have a winner style and across the board you want to work on that and want to start tearing apart what makes that jean so great how does that complement the rest of the collection,” Jac says. Maggie shares that in the brand’s “totally unscientific research,” women come out of the dressing room feeling 15 percent better when they’ve tested out the Bomb Pop, which Max explains is their intention for the wider collection. 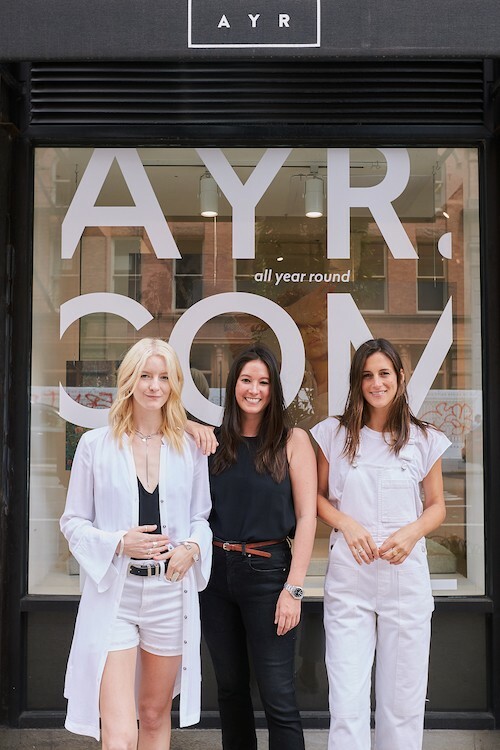 The AYR aim is to have every woman walk out of the dressing room feeling good about herself and what she’s wearing, no matter what she puts on in the shop. “As Jac is designing, she’s obsessively considering this women in every way her lifestyle, her attitude, and her values,” Maggie shares. Jac’s main point of focus when she designs is to think from a place of what makes the consumer feel confident. And the results (the Bomb Pop) clearly speak for themselves. The passion the women of AYR have for their products is on a personal level, much deeper than most creator/product relationships. They speak about their clothing the same way they speak about their friends—with pride and excitement. “The thing that I love the most [about denim] is that you’re truly starting is a complete blank canvas,” Jac says. “It’s one of those pieces that really speaks to how people dress, it’s the foundation of anybody’s wardrobe and I love that, too. Nothing makes me happier than when someone comes out of the dressing room they’re like, ‘Oh God, yeah this feels great!’ And when there are people who are like, ‘there’s definitely no way I’m trying on jeans today,’ and they come out with that positivity around how they feel, it makes [denim] something that I love all the way through from creating it to it being on our customer’s body. Even Max hadn’t been a denim enthusiast before the influence of the AYR mission. 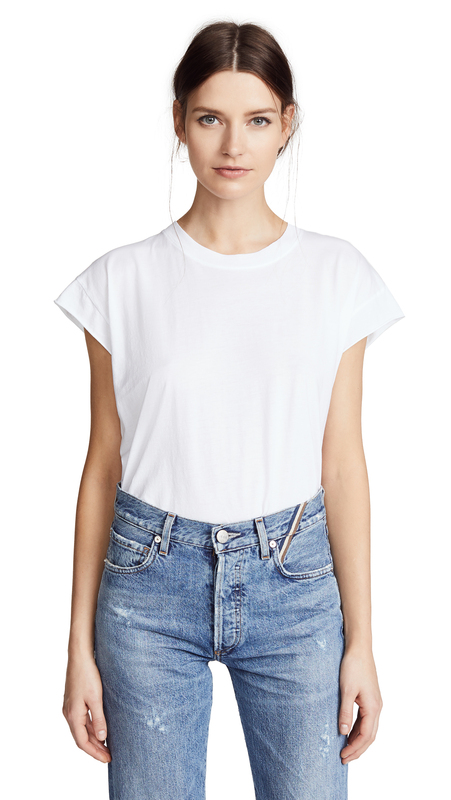 “I found jeans terribly uncomfortable and constricting and it wasn’t until Jac introduced stretch into my life that I was able to wear jeans,” she says. The affection Maggie, Jac, and Max feel about their brand is really a passion in their consumer and their product. They’ve treated AYR with the same care and consideration you’d give to a friend, and in turn built a brand that empowers and fulfills the modern female consumer.